Week 10 Player of the Week is Porter Ridge's Jaylen Coleman. 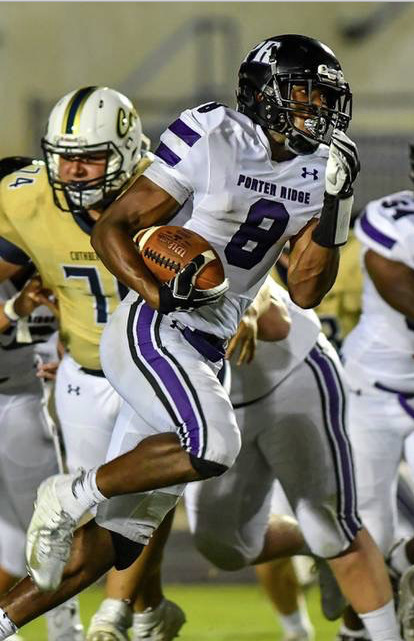 Coleman helped lead the Porter Ridge Pirates to a 40-19 win over Rocky River. Jaylen ran the ball 26 times for 201 yards and scored two touchdowns. The Pirates are 6-3 and 4-1 in the SW4A. Congrats Jaylen!! !